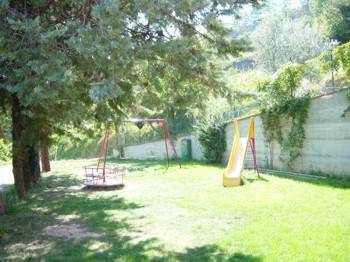 Spend your holidays in a beautiful country farm in Umbria, only few kilometres from Perugia, near Tuscany, in the heart of Italy. 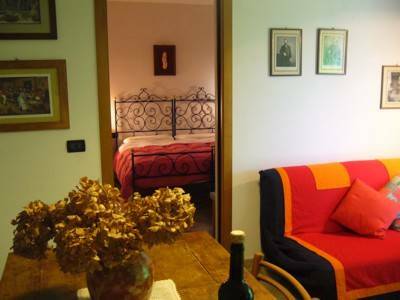 You will stay in one of our holiday apartments and enjoy a relaxing holiday while being close enough to visit the city of Perugia, Assisi and its surroundings. 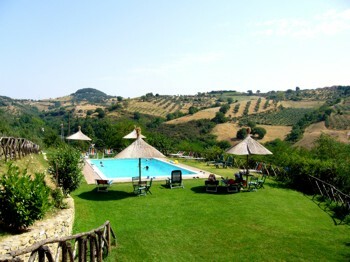 The farmhouse is in the beautiful heart of the Umbria valley, Italy, sourronded by 10 hectares of olive groves, vineyards and fruit trees. Five independent apartments have been restored around the ancient stone house, which go back to 17th century. 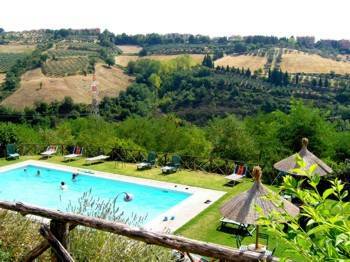 The farm is only 4km far from the historic centre of Perugia and offers a suggestive view of the Umbrian hills. The proximity to Perugia, makes the holidays farm's position ideal for visiting other artistic towns in Umbria, such as Assisi , Gubbio , Todi, Orvieto and the Trasimeno lake. 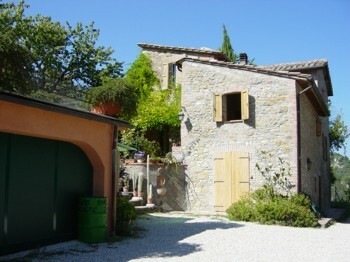 The country farm"la volpe e l'uva" is an agricultural farm in the heart of the Umbria region. On 2000, the farm became property of our family and we started a process of restoration of the building and agrarian patrimony with particular care to the wine and olive oil area. 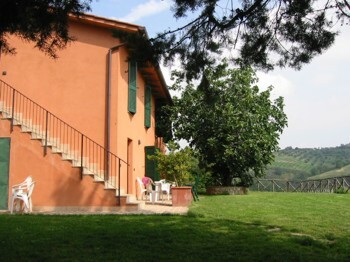 The farmhouse is at north of Perugia, just outside of the ancient medioeval walls. In this direction there are not outskirts, so you can go directly from the historic centre of Perugia to the country side. If cancellation occurs within 30days before the check-in date, no further penalty is asked. In case of cancellations from 14 to 1 days before check-in date, cancellation penalty is 50% of the balance. In case of no-show, cancellation penalty is 100% of the total. From Florence: motorway A1, gate Bettolle, follow Perugia, overcome the gate Perugia and follow Cesena, go out at the gate Ponte Felcino, follow Zona Industriale and Perugia centre, at the locality Ponte Rio take the road at right “strada comunale san Marino” and after 3km you will find the sign “la volpe e l’uva”. From Cesena: go out at the gate Ponte Felcino, follow Zona Industriale and Perugia centre, at the locality Ponte Rio take the road at right “strada comunale san Marino” and after 3km you will find the sign “la volpe e l’uva”.